Dr. Salma grew up in the beautiful city of Cairo, Egypt. One of her fondest memories while there was being able to see the top of the Great Pyramids; peaking like a sky scraper through the modern architecture, every day on her way to school. She graduated from the University at Buffalo School of Dental Medicine (NY) with a doctorate in Dental Surgery (D.D.S). She had been practicing in Columbia, Missouri for the past 2 years before joining our office in Westphalia, Missouri. She has been looking for more of a “home town” feel with her patients and really feels she has achieved that here. Dr. Salma enjoys spending time with her family and her nephews and loves going on trips with them to different parts of Missouri for their soccer games. In her free time, she loves to swim and free dive, cook at home, and also loves reading “ancient history” books! Sheila has worked in the medical field for over 18 years. Her experience varies from dental groups, insurance brokerage, and a medical billing office. Sheila comes from a quiet, little town of Bonnots Mill with her husband and 2 beautiful daughters. She spends her free time antiquing, rummaging, cooking, baking, and being with her family and friends. Jesse grew up in the Osage County area, and now resides in Rich Fountain with her husband and chocolate lab Jax. Jesse graduated from Fatima high school. 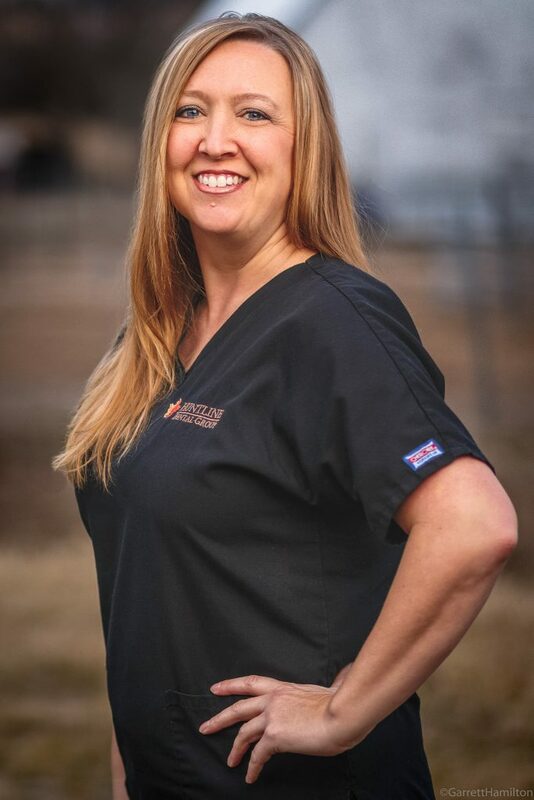 She attended Nichols Career Center and received her expanded functions as a certified dental assistant in 2011. 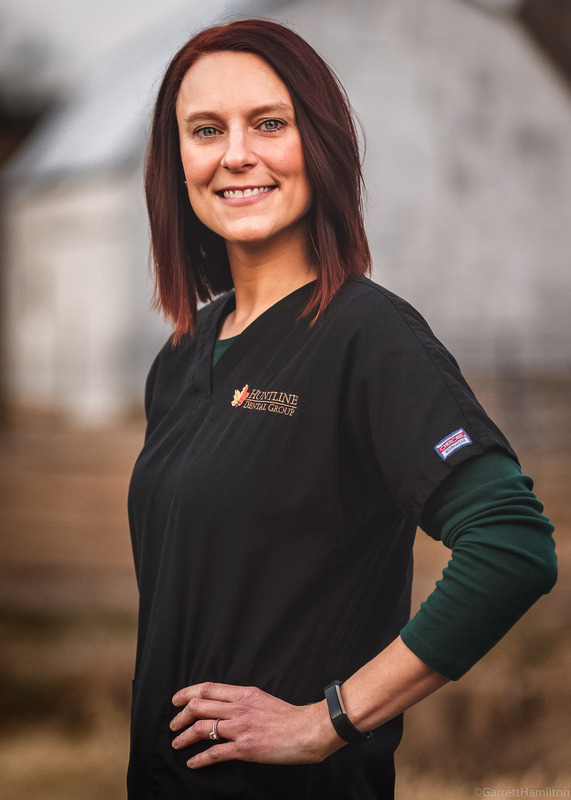 Jesse works as the clinic treatment coordinator at both office locations as well as still working in the clinic utilizing her assistant skills. In her free time she enjoys DIY crafting, making updates to her house, cooking, baking, and spending time with her family and close friends. 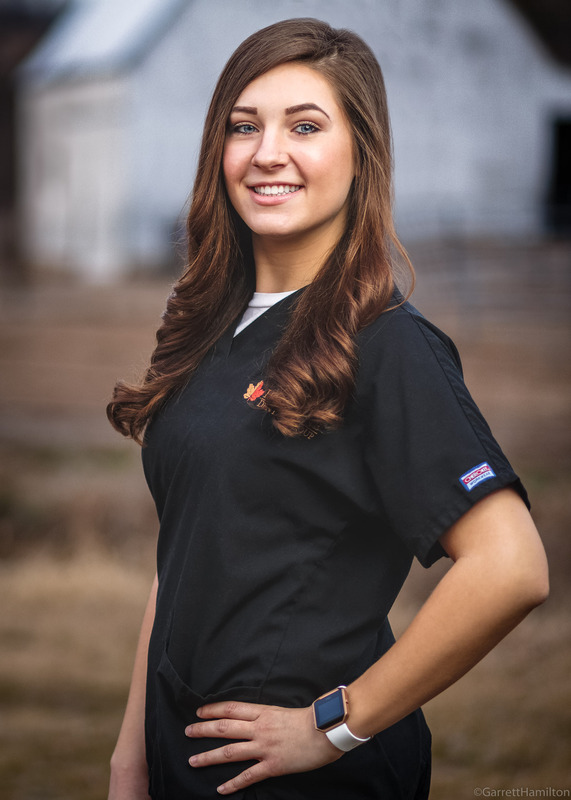 Jessie grew up as a native to Boone County, attended Nichols Career Center and received her CDA and EFDA in 2010. Jessie spends her free time with her friends, husband, daughter, Bentley, and son, Kaison. 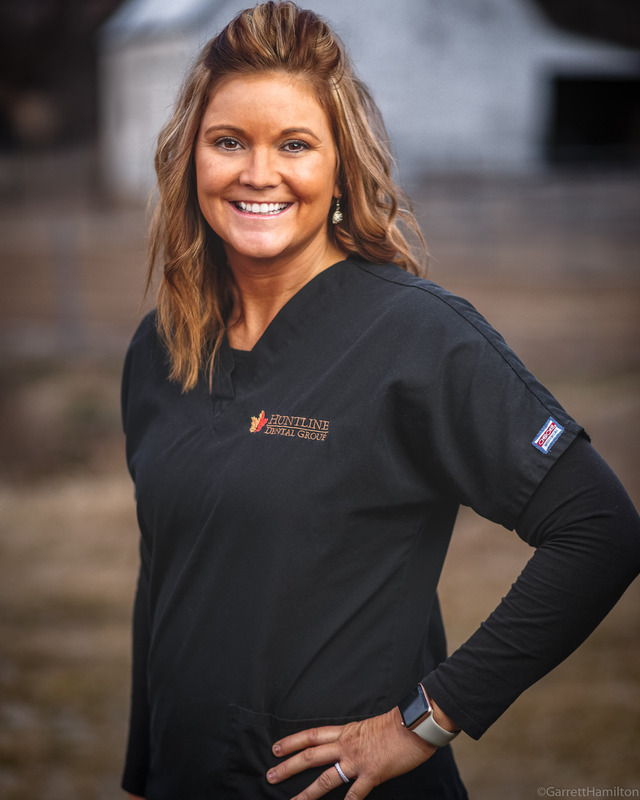 Brooke, who was born and raised right here in central Missouri, is a certified dental assistant and is a graduate of Nichols Career Center, in 2011. Brooke has been working as a CDA since graduation and recently came to Huntline in the late Summer of 2017! When not working, Brooke spends much of her free time with friends and family, canoeing, thrifting, hunting, eating watermelon, and snuggling with her son Grayson and their dog Millie! 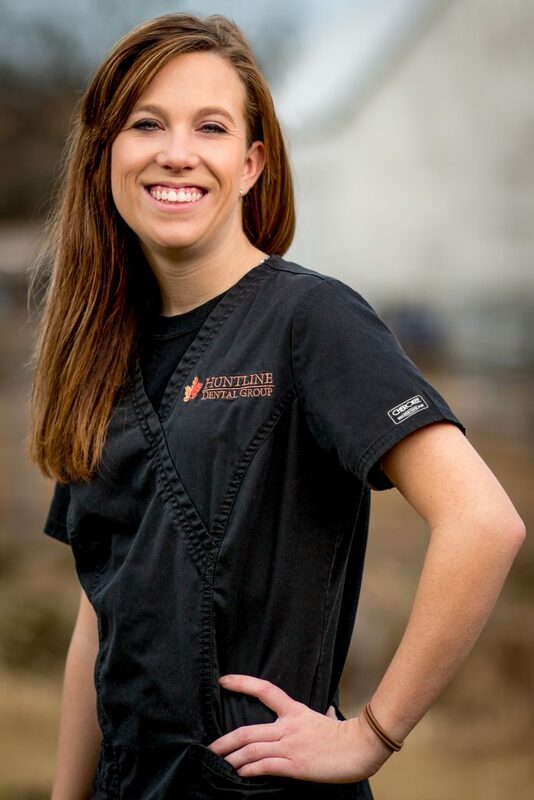 Sarah, a Westphalia native, started working for Huntline Dental in 2015. During her free time Sarah can be found outdoors, going to the river, making handmade crosses, or spending quality time with her husband and rambunctious sons, Carter and Chandler! Jena, who is also an Osage County native, grew up in the small town of Argyle, MO. 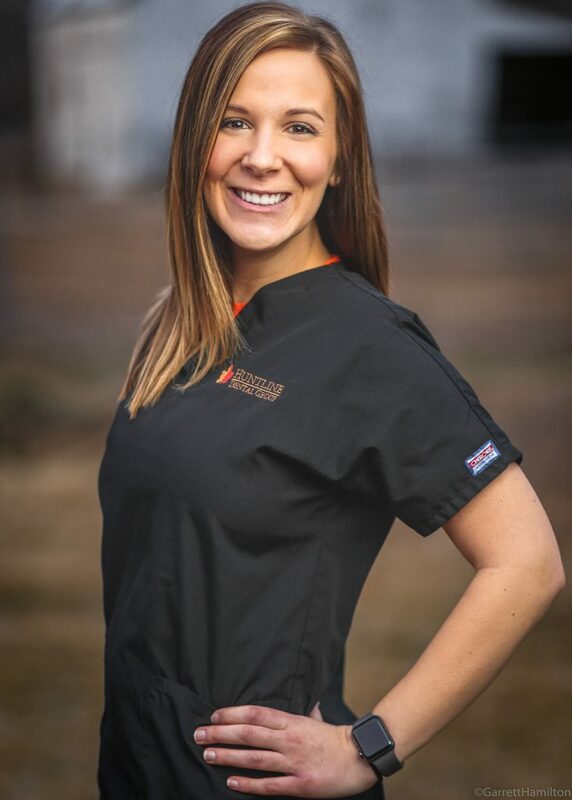 She is a graduate of Fatima High School and started working at Huntline Dental Group in August of 2017. She, along with Sarah support our Hygiene and Surgical departments and keep them running super efficiently! Her hobbies include; kayaking, camping, traveling, and hiking with her pup Benji! 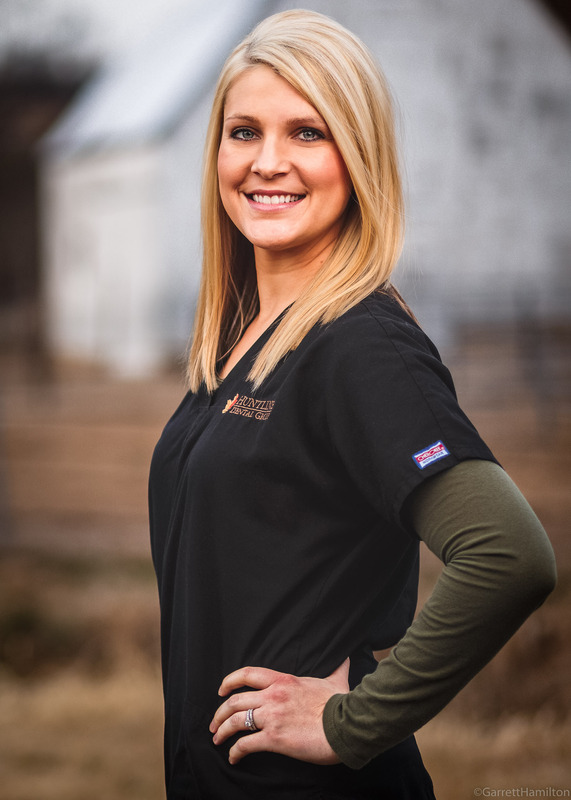 Nicole; who is also an Osage County native, attended Nichols Career Center where she became a Certified Dental Assistant and EFDA for Expanded Function Dental Assisting and became Dr. Sam’s first assistant. 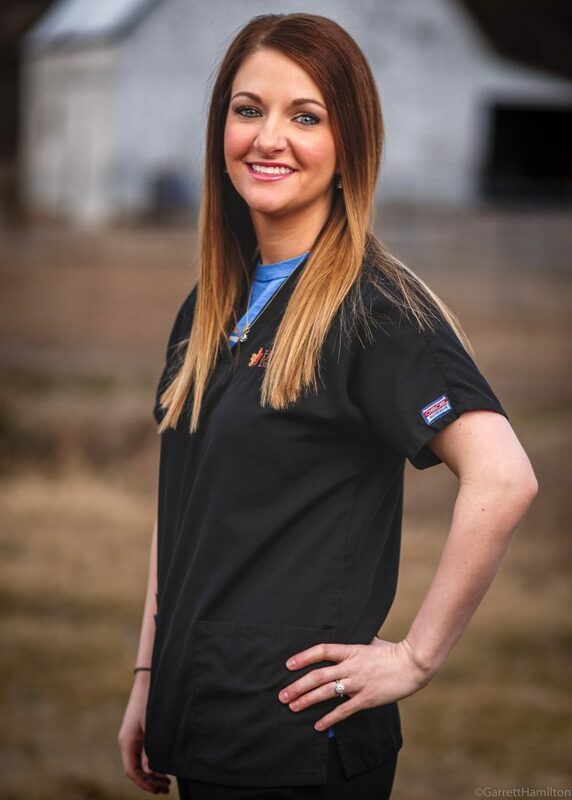 After graduation, Nicole went to Missouri College in Saint Louis to become a dental hygienist. Nicole loves camping, wineries, hiking in the mountains and spending time with loved ones. Michelle is also a central Missouri native and attended Nichols Career Center / State Tech and obtained her CDA. She then went to Hygiene School in St Louis MO to get her RDH certification. 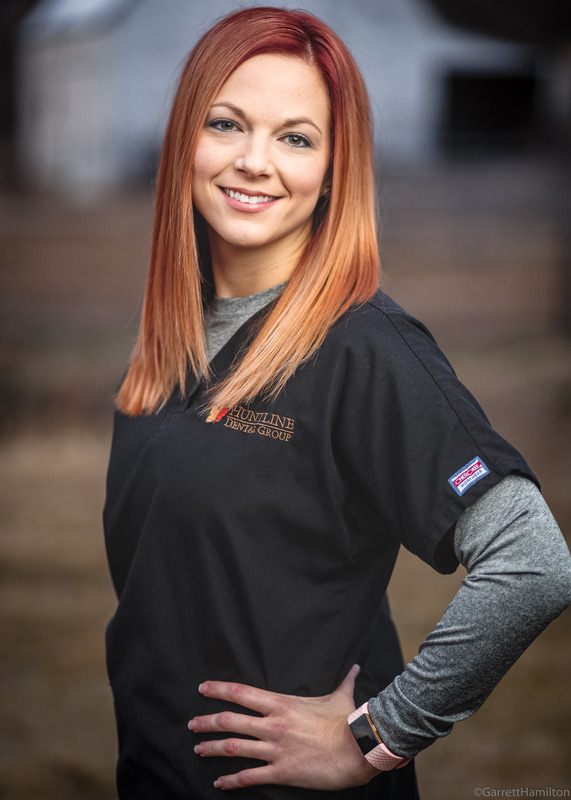 She had previously worked in Columbia for three years and then Jefferson City before coming to Huntline Dental to work as a Dental Hygienist. Michelle enjoys spending her free-time with her family and friends, she enjoys going shopping, going on the river, camping and gardening. 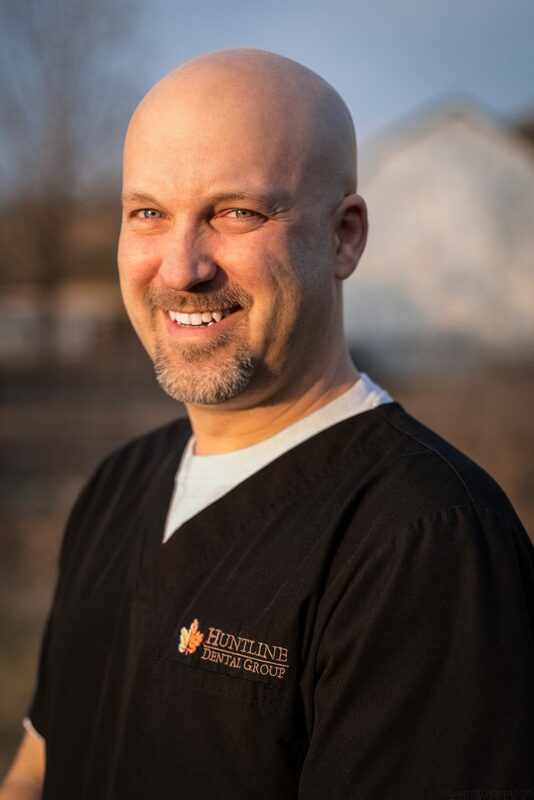 Mark is Huntline Dental Group’s resident denturist and the founder of TradeMark Dental Labs; TMD. TMD focuses on removable prosthetics and takes a customized approach to every prosthetic manufactured. Mark has worked closely with numerous dentists since 2001 and has been involved in thousands of patient’s treatments. Mark and Dr Sam have a unique team approach to every case; “Planning their work & working their plan”. 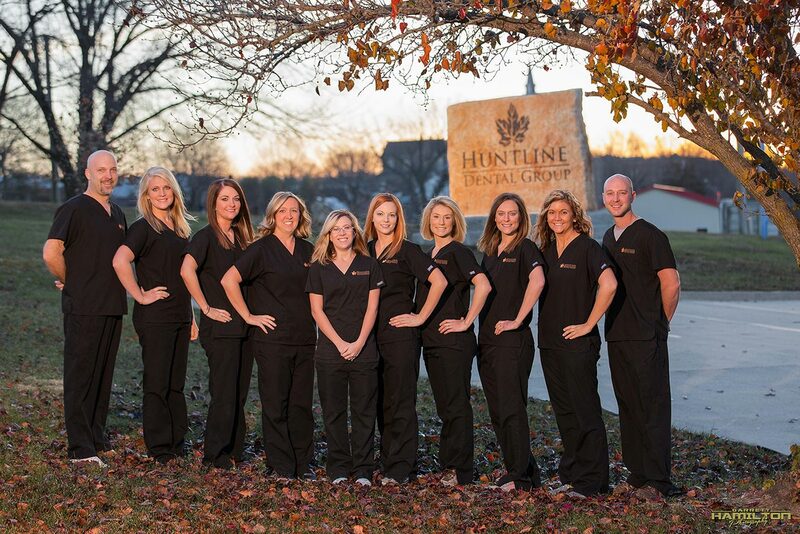 This gives every patient that comes to Huntline Dental Group the perfect blend of aesthetic and functionality. Mark, along with his brother Jake, are also two of the founders of Puridigm Mid-America, distributing the most advanced surface and air purification technology in the world. Mark is also an avid outdoorsman and loves to spend his free-time fishing and being outside with his family. Garrett, who has been a self-employed professional photographer since 2007, decided to join our team in January of 2017. Garrett handles all aspects of organic content creation and media such as in-house photography and video production, web content, and social media presence for Huntline Dental Group. He also films, edits, and produced the Huntline TV outdoor show. Garrett is a graduate of Boston University with a degree in photojournalism. 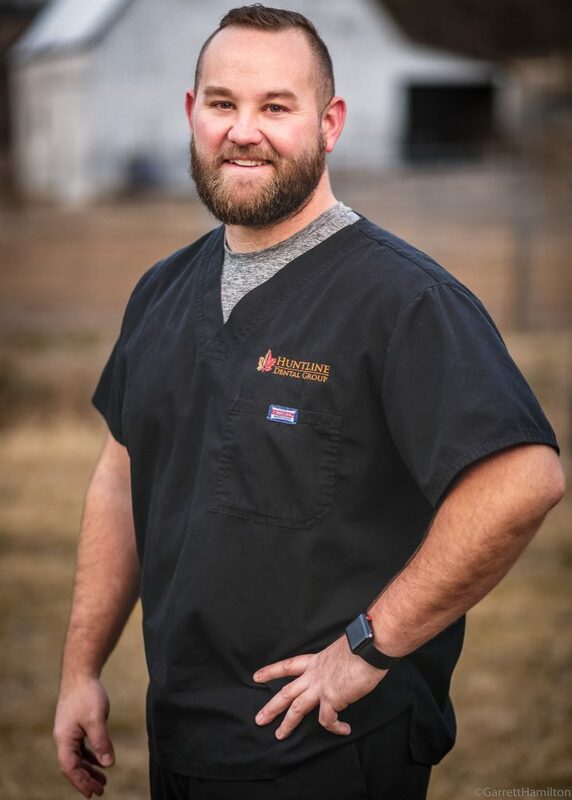 Garrett’s free time is mainly spent behind his camera shooting personal work, weddings, and portrait work, and his passions include archery hunting, long-range rifle shooting, hiking, motorsports and an occasional Xbox game!